An Ohio bakery has filed a lawsuit against Oberlin College and its dean for slander, after the establishment was branded as “racist” after three black men assaulted the shopkeeper and were arrested for attempting to steal wine. The men had claimed that they were simply trying to purchase the wine from Gibson’s Bakery using fake identification cards, but pleaded guilty to attempted theft and aggravated trespassing in August. Campus Reform reports that part of their plea agreement included an admission that their actions were wrong and that the store had no racist intentions. “Racism can’t always be proven on an Excel sheet,” Kameron Dunbar, an Oberlin junior and vice chair of the student senate, told the Chicago Tribune. For decades the college would buy baked goods from the small family-owned and operated business, but the bakery says that ended after the students were arrested. The administration reportedly told the bakery that they would restore the business relationship only if they stopped prosecuting first-time shoplifters and notified the school instead. Owner David Gibson declined the offer, citing the difficulty in determining who is a first time offender and the high cost of stolen goods. Though the three men were clearly in the wrong, the bakery was subject to Black Lives Matter protests and even pressured by the college’s administration not to pursue charges. According to the lawsuit, faculty members encouraged the demonstrations by suspending classes, helping to distribute flyers accusing the bakery of racism, and providing food and drinks to protesters. Gibsons also claims that college tour guides have continued to inform students that the bakery is racist. Gibson also alleges that Oberlin paid for the defense attorney for one of the students and even hired a limo to take him to his meeting with a “high profile criminal defense lawyer,” Campus Reform reports. 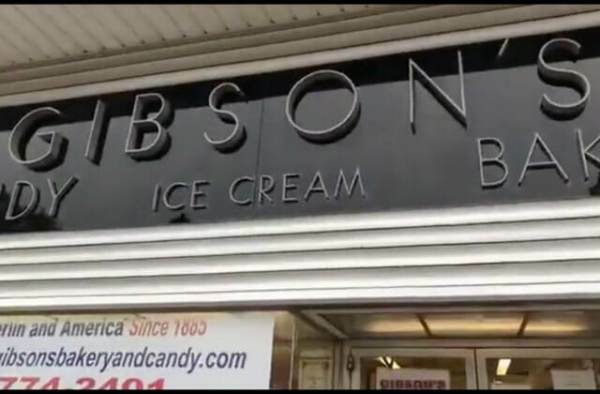 Out of forty people arrested for shoplifting from Gibsons in the last five years, only six were black.